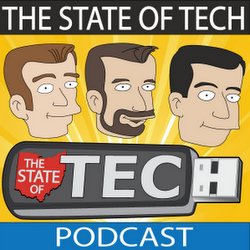 Announcing the first ever “PD in your PJ’s” free online Ed-Tech Conference, Saturday June 16th 2012, brought to you by The State of Tech podcast, ITIP Ohio, and Google in Education. No travel, no hotels, no meals, no subs, no registration costs, and no fancy clothes needed. Instead this conference is totally free and totally online! Special thanks to ITIP Ohio - http://www.itipohio.org - for co-sponsoring this event, and Google in Education - http://www.google.com/edu - for providing Hangouts On Air.